Have you noticed that I’ve been on a ‘Breakfast Cookies’ kick lately? 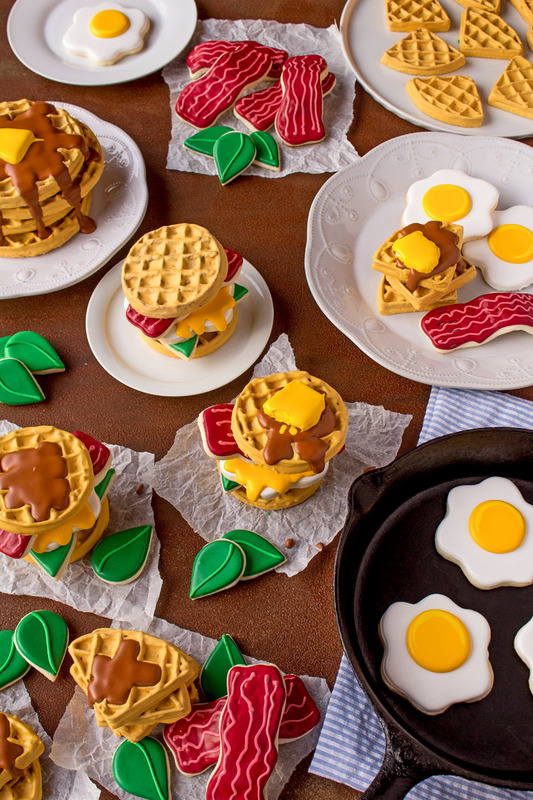 You remember we made egg cookies, bacon cookies and waffle cookies? Now that you have the tutorials to make them let’s talk about presentation. If you get an order for breakfast cookies you can serve them on a platter or you can arrange them to look like a table full of all your favorite breakfast food. 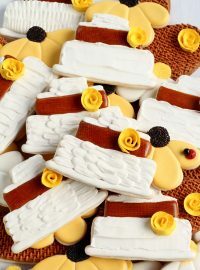 I know placing finished cookies on a platter is a spectacular presentation, but sometimes we can think of something a little different to make them stand out even more. I love food photography and think we can learn a lot from the photos the talented photographers are making. Take breakfast for example. When you look at magazines and you see a table full of breakfast foods, what do you see? Do you see a great mixture of all the food all over the table? Let’s see if we can do that with the breakfast cookies. 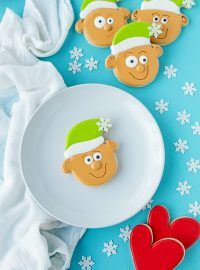 Bring your imagination to this cookie decorating party! 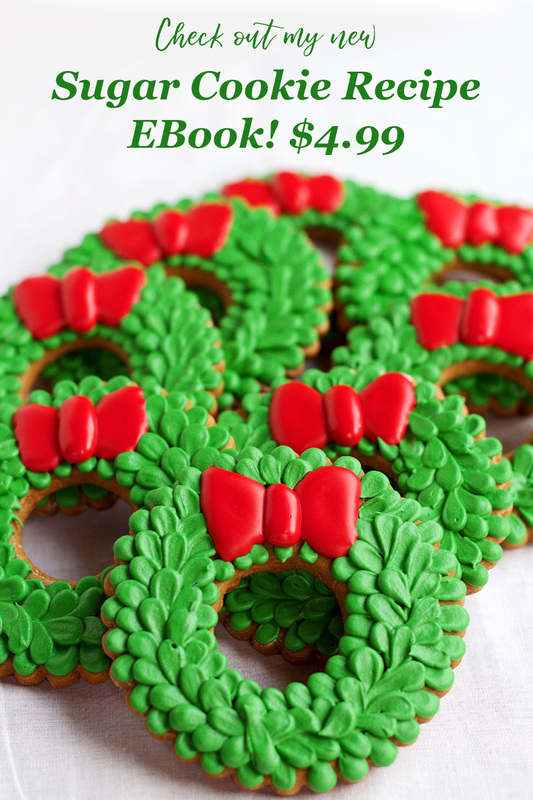 Don’t feel like you have to use a plate for every cookie. 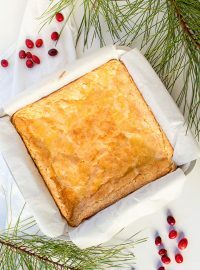 Mix things up by ripping some parchment paper squares and wrinkling it so it will have a great little foundation for the cookies. 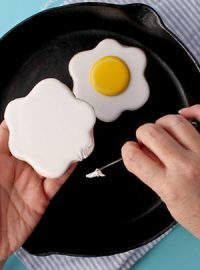 Let’s start with the egg cookies. I know the photo I showed you in the egg cookies tutorial wasn’t jaw dropping. 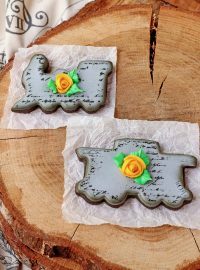 I didn’t want to over do it because I wanted to put it all together and show you how you can get different looks with the same cookies and the same prop. 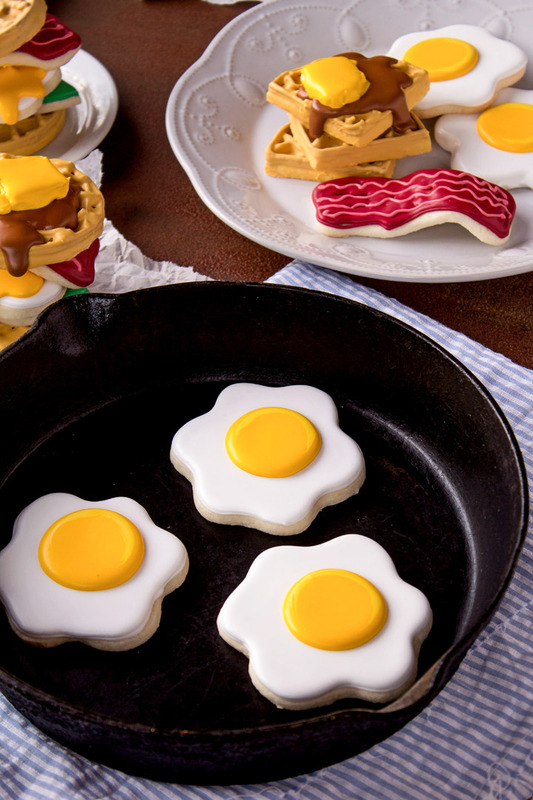 Both photos show the eggs in the skillet, but when you change the composition and add a few more decorated cookies to the back ground, you get a completely different feel and look. Which one do you like better? I’m all for this one with the bacon, eggs and waffles in the background. 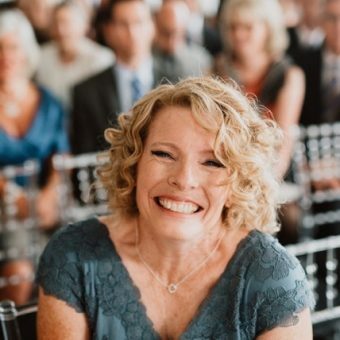 Don’t get me wrong, I like the egg photo with the blue background, but this one feels a bit warmer and welcoming to me. 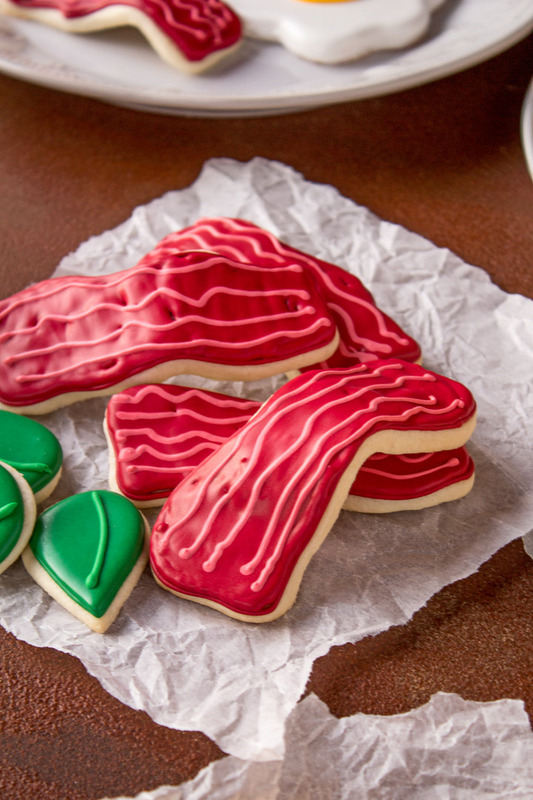 Now this is the actual photo on the bacon cookies tutorial. I wanted to make the cookies have that fresh from the skillet feel so I wanted a warm colored background. I didn’t want to show to much of the photos so I took a close-up with a tiny view of the egg and bacon on the plate at the top of the photo. Even though I didn’t shoot the entire plate of the egg and bacon, you know what it is without seeing it and still giving all the focus on the slices of bacon. 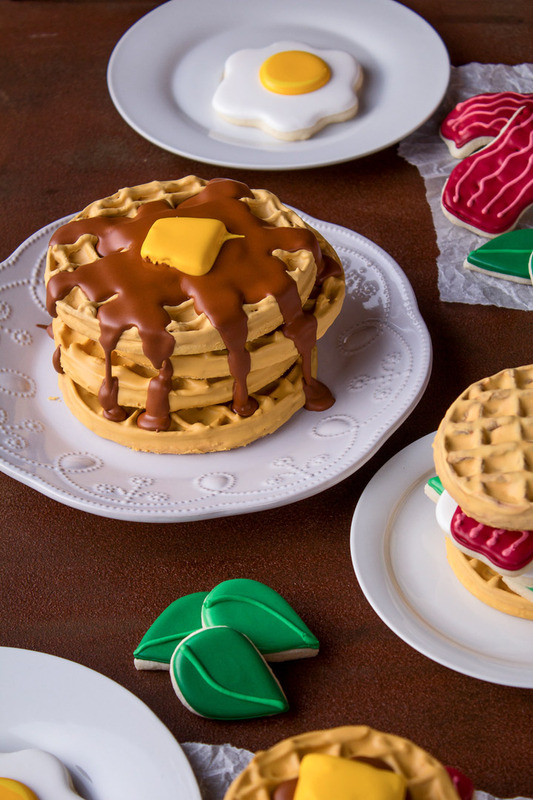 Let’s talk about the waffle cookies for a minute. 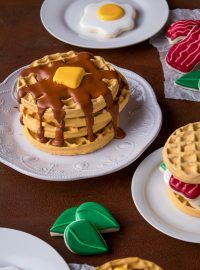 First of all, you can make so many different kinds of waffles by using the same decorating technique. 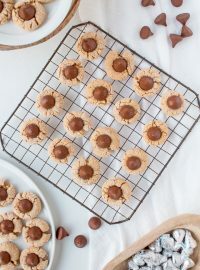 The technique is the same but the size and shape of the waffle cookies can change. Make quartered waffles or small round waffles or large round waffles. 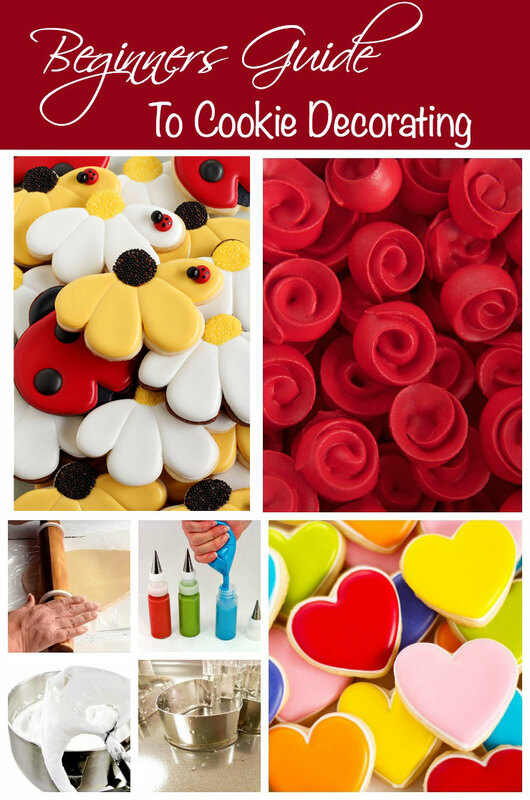 It’s amazing they were all decorated the same way because they look very different due to the shape. 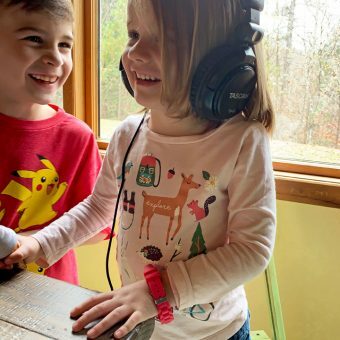 Here is where things get fun! 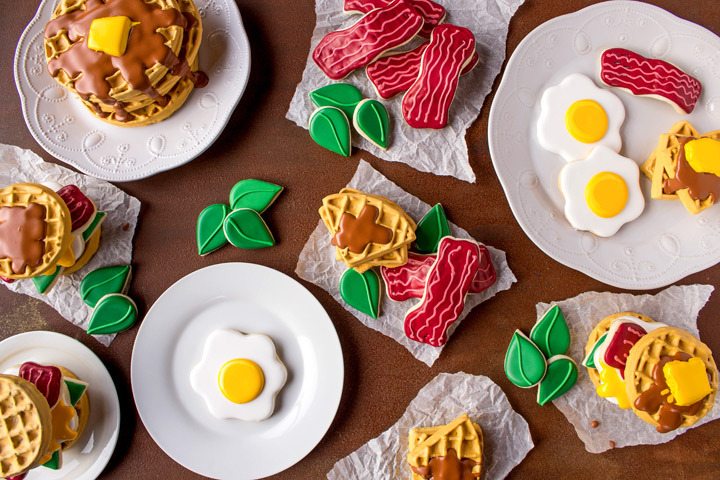 By using your imagination you can display them in many different ways which will make your table full of breakfast cookies look like the real food the photographers shoot. Let’s take a look. 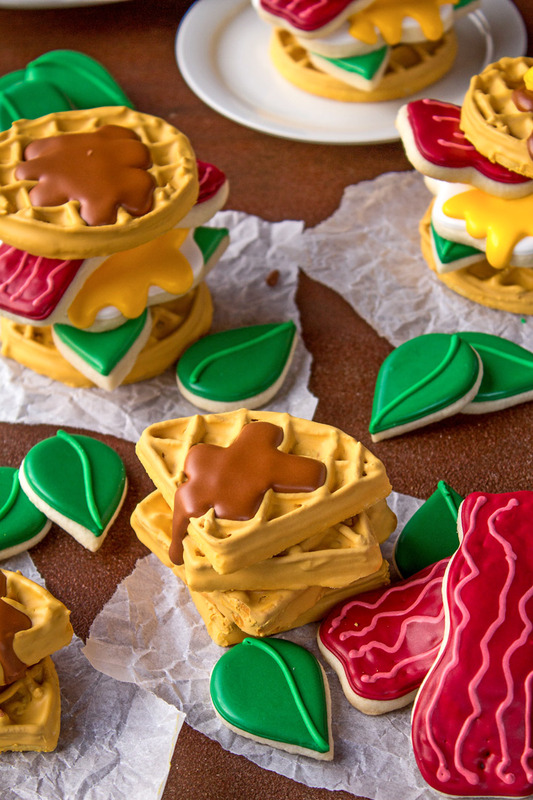 Have you seen the waffle sandwiches on Pinterest? That is what gave me the idea for these breakfast cookies. That and a guy named Matthew. Matthew works at camp and one morning he served out staff chicken and waffles. 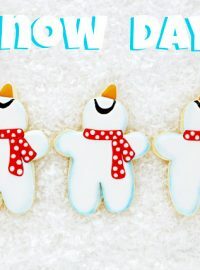 My hubby laughed and I thought of these cookies. 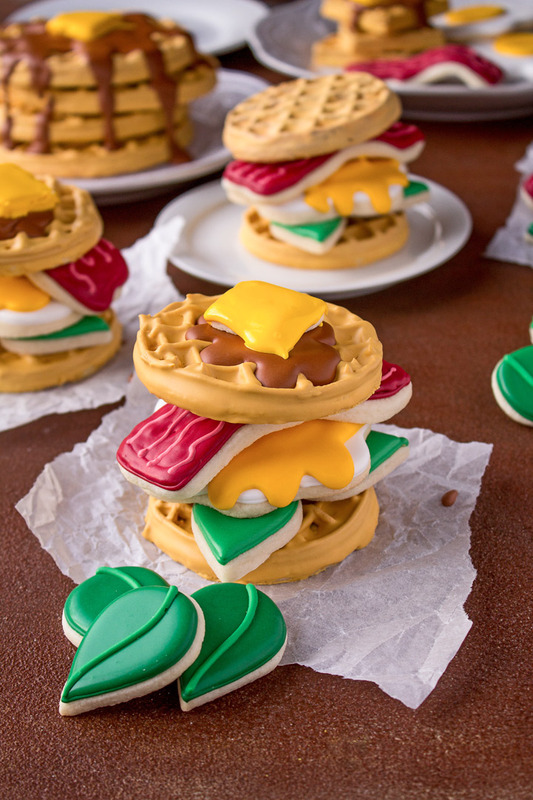 If not for Pinterest and Matthew, I never would have thought to make a waffle sandwich cookies. So thanks Pinterest and Matthew for the cookie idea! 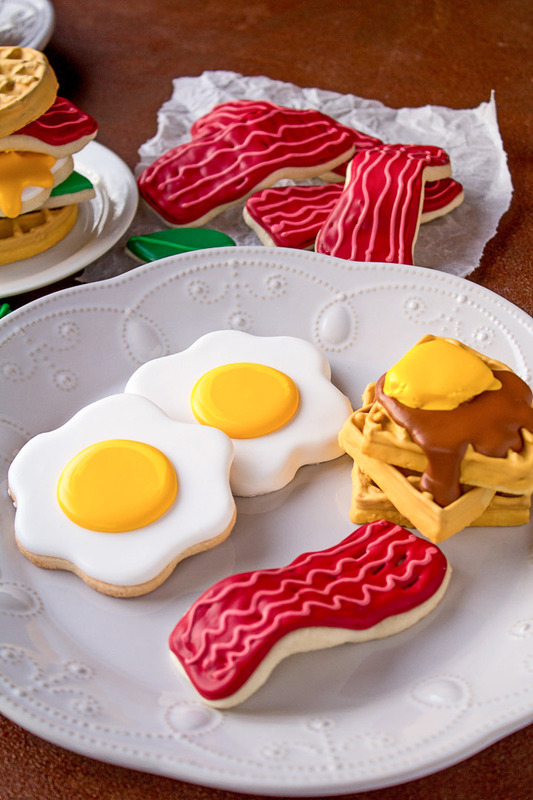 Make yourself a plate of bacon, egg and waffle cookies. Just think outside of the platter and see what you can come up with. Whatever you do, don’t forget the butter. Butter makes everything better! Or is it bacon that makes everything better? I’m not sure but add both just in case. 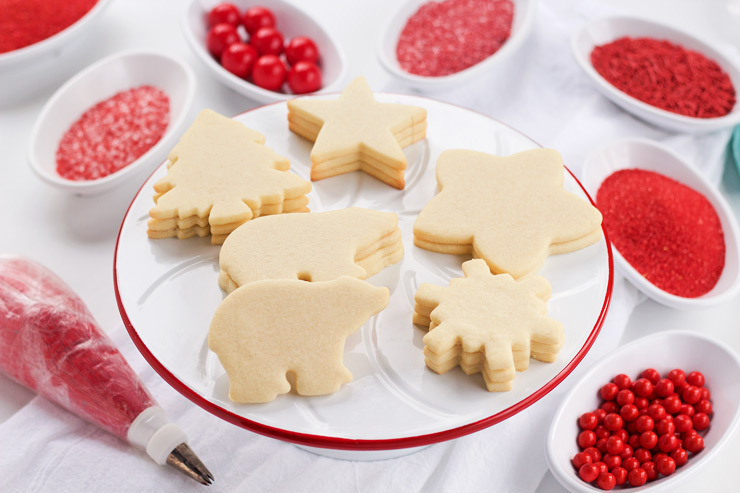 Imagine what a little imagination and hiding your platter will do for your cookie displays. I’m not saying you should display all of your cookies like this, but every now and then give it a try. I think you’ll like playing with your food. Oh yeah, don’t forget to add something green. Spinach is a good addition to any sandwich and it will make the display pop with a touch of color. 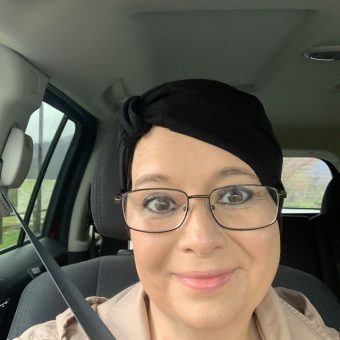 Thank you for this post – I love these ‘behind-the-scenes’ ones! 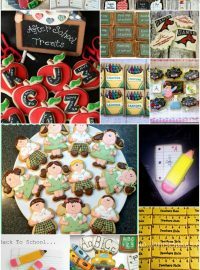 I often pay attention to your (and others’) way of displaying cookies that they look so great on photos :). So adorable!! 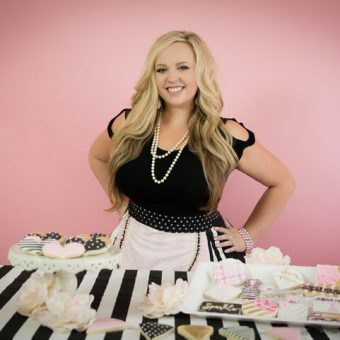 Maybe someday I’ll get started making cookies thanks to you ! 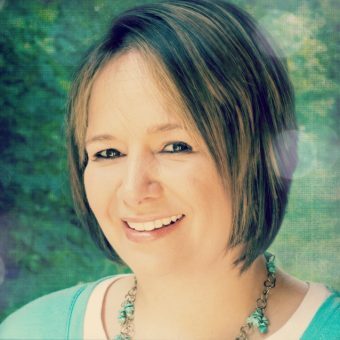 I’m glad I signed up to your blog ? That is so incredibly beautiful! It all looks so real and very delicious too! A fantastic job on the piping! 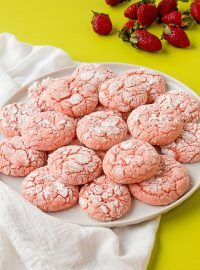 Amazing as always <3 You make these cookies look easy! 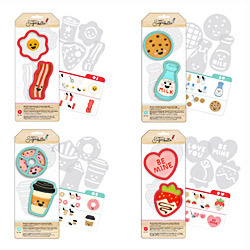 Cookie goals! Love the waffles and syrup.